If you know me, you probably know that I watch a lot of TV. Like seriously, it is an addiction. I watch well over 50% of broadcast TV's offerings on most nights. Well, I also watch a lot of late night shows, and I've decided to put that to good use. These are my definitive(-ish) rankings of the late night shows that I have seen. While I still occasionally watch the Daily Show, it's pretty rare for it to make a trip to my DVR. It's not that the show is bad, it's that I just don't find it all that funny. It definitely has its moments, and host Trevor Noah does an admirable job, but there's something lacking with the show itself. I really can't put my finger on it, but the show just isn't all-that-pleasurable to watch. The Tonight Show is great escape TV. It's one of the least politically-driven shows on this list, and with an endless supply of Trump jokes, I can admire that. The problem is that, when does tackle Trump, it doesn't really do an effective job at it. 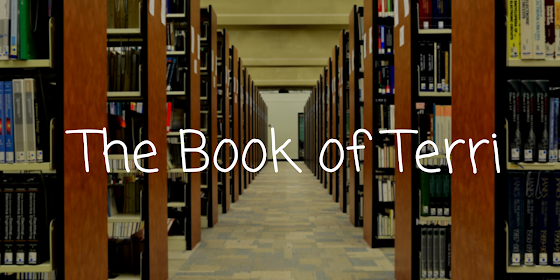 The jokes aren't too clever and are just kinda basic, and something we've certainly seen before. It's when it moves away from the monologue that the show really shines. Fallon clearly has much more fun playing games with A-listers than he does telling jokes about the president, and that makes those segments more enjoyable to watch. It's just that that isn't enough to raise it ahead of many shows. 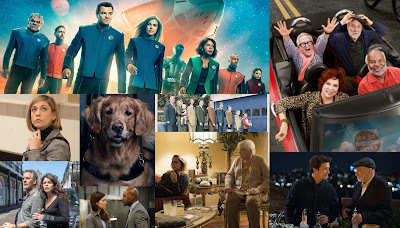 The average episode of Real Time is a pretty mixed bag. 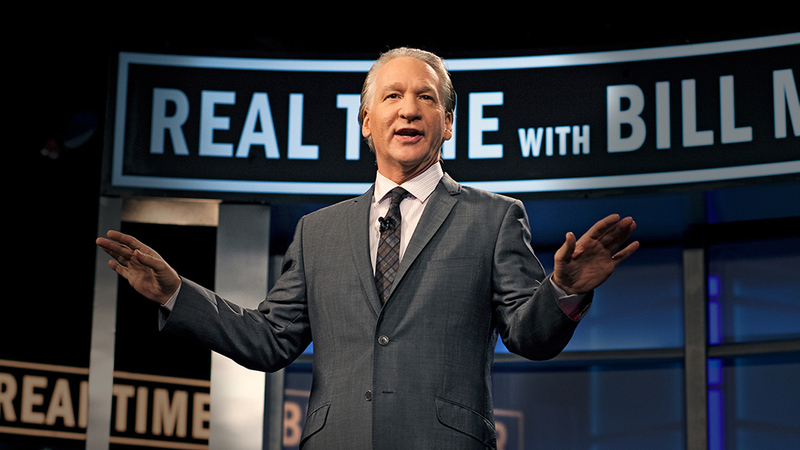 Bill Maher is very funny, but there's sometimes that the show just is not. His interviews, which take up a heavy majority of the show, are rarely laugh-filled, though, with the right guests, they can be. There are still many interesting political and social discussions during these interviews, but I don't really find it that funny. 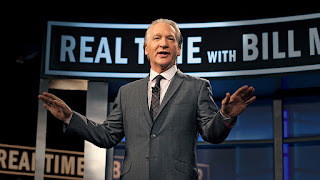 Maher's monologues are also mixed bags, and usually leave me wanting more. Considering that it's an hour-long comedy show, I want these monologues to actually leave an impact on me and while they're pretty funny, they're not too impactful. The show really shines in the weekly New Rules segment, which delivers the biggest laughs and is by far the best part of the show. I'd honestly watch an hour of just this segment. While I mostly enjoy these late night shows because of their monologues, that isn't really the case with Conan. His monologues are fine, but his interviews really are the best part of the show. 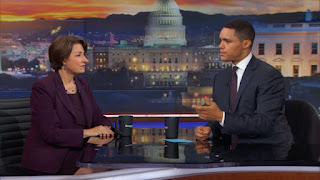 He's one of my absolute favorite interviewers on TV, because he has a rare ability to make pretty much any conversation a pleasure to listen to, even if I hadn't even heard of the interviewee before. His sidekick, Andy Richter, is also pretty great, and their chemistry is off-the-charts. It's really like watching two old friends just hanging out. Mostly because that's what it is. The Late Late Show is a pleasure to watch, even if it isn't near the top of the list. Like The Tonight Show, this is escape TV, though I think it does it a bit better. The best part of the show (by far) is its comedy bits, whether that's Carpool Karaoke or Crosswalk the Musical. My personal favorite recurring bit is Spill Your Guts of Fill Your Guts, which is as disgusting as it is hilarious. While these recurring pieces are what make the show so good, the unusual interview style, featuring all of the show's guests at once as opposed to one-by-one, is another nice touch that pushes the show above many others. 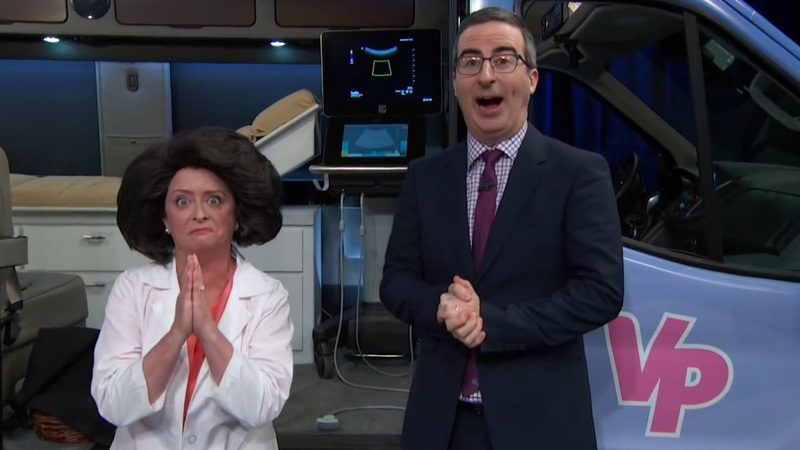 A great thing about Last Week Tonight is that I can always count on actually learning something from it. I can't really say that about many of the other shows, which makes this show something unique. Even though it's not my favorite late night show, it's very easy to see why this show keeps picking up Emmy after Emmy. It's very good. 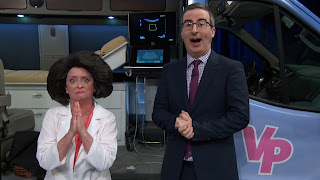 John Oliver does a great job as host, tackling various issues every week that you don't see discussed all-that-often. It's not just a half-hour of Trump stuff, it's actually informative. And the fact that he clearly has a ton of fun doing this really helps. 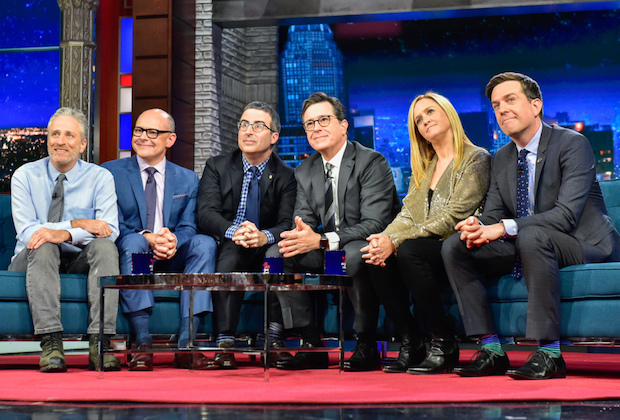 It's been a bumpy road to this point, but The Late Show has evolved into one of my favorite late night shows. I gave it a try when it first premiered and it didn't really work that well, so I stopped tuning in. I then gave it another shot sometime during the 2016 election cycle, when I happened to catch the show accidentally. I was surprised by just how much it had improved. The early awkwardness had gone away, and the show was really funny. It remains that way to this day, and much of that is because of Stephen Colbert. He makes even the dumbest of jokes funny, just with the way he delivers them. 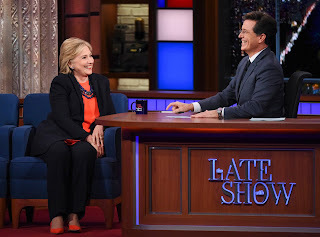 It's not my favorite nightly late night show, but it is the show I will almost-always watch first. I've been a fan of Seth Meyers for a long time, having thoroughly enjoyed his work on SNL. So I was very excited for him to get his own show. I will admit, it started out pretty shaky. But with time, it found its groove and became one of my favorite shows in late night. It helps that his monologues are done Weekend Update-style, which is very much in Meyers' comfort zone. His Closer Look segment is a high point of the show, now appearing nightly and always tackling the goings-on in the world of Trump in a funny and insightful way. It's also a true delight when any SNL cast member, past or present, takes a seat on the couch. The stories about the show are always a treat, especially given that Meyers knows a thing or two about the long-running comedy staple. Kimmel may not have topped this list, but it was incredibly close. Broadcast's most senior host has earned that title by staying so darn good at his job for all of these years. 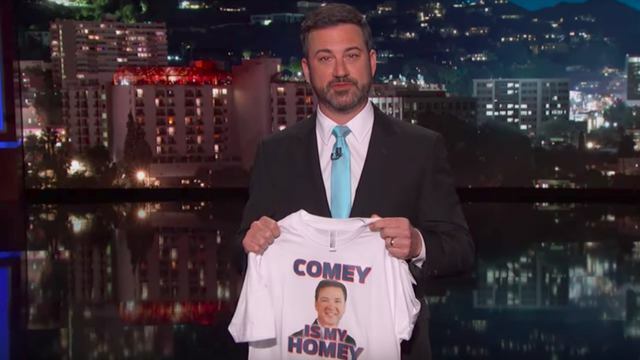 While he's not the most political host on this list, his political segments can be very clever and biting, particularly his recent dive into health care advocacy, which actually helped push Kimmel to second place. And there's also Drunk Donald Trump, which is not biting, but is nonetheless very funny to watch. And unlike most hosts on this list, Kimmel's not only great at cracking jokes, he's also a great prankster, sending his Cousin Sal to Costco, messing with his Aunt Chippy, and asking people questions on the street about things that never even happened. And who can forget Guillermo? Kimmel's "security guard"/sidekick is late night's best, providing almost as many funny and memorable moments as Kimmel himself. There really is something for everyone here, and that's why it wins #2 in a near tie with the rest of the Top 4. When looking for political comedy, I look no further than Full Frontal. Its unique format, blending monologues, interviews, and field pieces, helps it deliver a well-rounded show that always leaves me both entertained and informed. With a focus on politics and pretty much nothing else (a notable exception being the excellent Puerto Rico special), the show speaks pretty much directly to me, focusing on a lot of my own interests. It goes beyond just Trump jokes, making it all-the-more unique and necessary. A high point here is the interviews featured on the show, which have brought many famous (and not so famous) faces to the show. They manage to actually be funny, even if the subject matter isn't so funny. It's a rare gift seen in very few places. What are your favorite late night shows? Let me know in the comments and vote in the poll below! 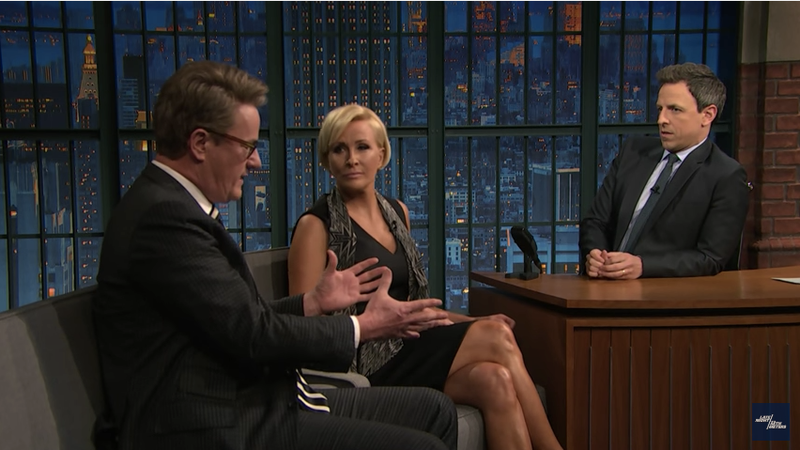 What is the best late-night talk show?